After testing Chromium / Chrome I never really switched back to Firefox. Still I keep discovering new cool or useful plugins for it. Turn off the lights is just fading out everything but the video on pages like youtube. It reduces distractions to the eye and gives it a little more cinematic look. Since youtube supports high definition, why not enjoy a little? 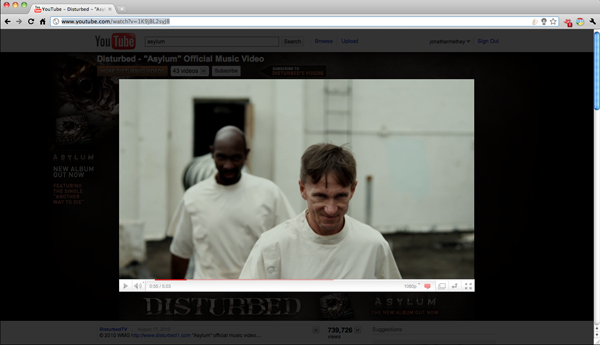 Scene from Asylum by Disturbed. A more practical extension is the iReader. A feature that actually was implemented in recent versions of Safari. 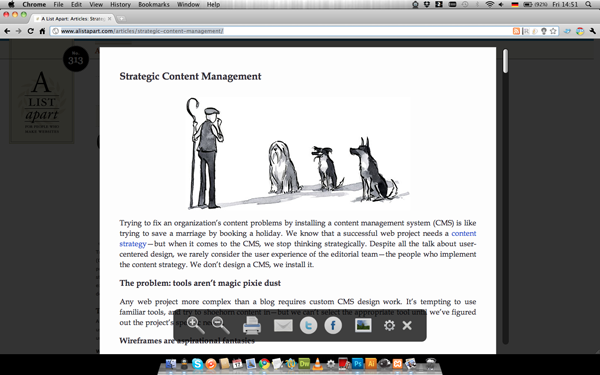 The extension pops up a window on any webpage with proper markup if you read an entry on a blog or news site to make the reading experience better. 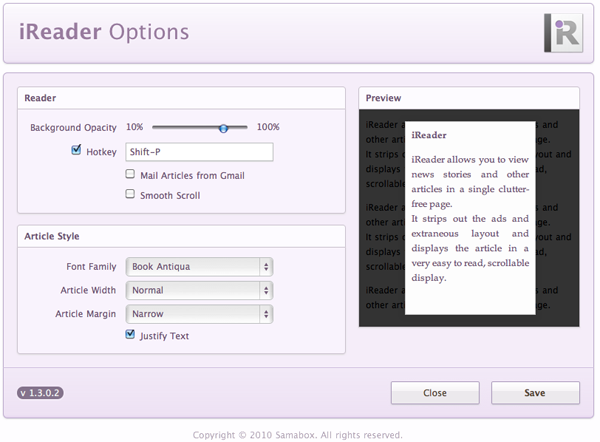 Below you see the options and how you canÂ customiseÂ the appearance of iReader, like how much the background fades, which hotkey starts it, which font and so on. If you like me read a LOT on the net, on sites you don’t have in your feedreader, it’s really worth it!